Made with natural ingredients. Down-to-earth goodness. A source of fibre and protein. Gluten free. Suitable for vegetarians and vegans. 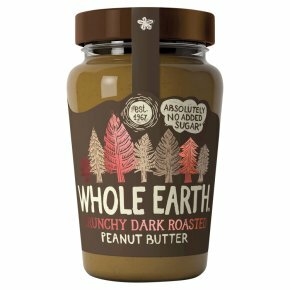 Absolutely no added sugar* *Contains naturally occurring sugars Our carefully selected peanuts are slowly roasted for a richer, more intense flavour. Why not try spreading on crisp, sweet apples or delicious dates?